This is not an aggressive, high yielding EA but targets between 100% - 200% annually so as to keep drawdown as low as possible. To increase target, MM can be increased. EA is recommended for H1 timeframe of GBPUSD but can be optimized for other pairs and timeframes as well. 1. 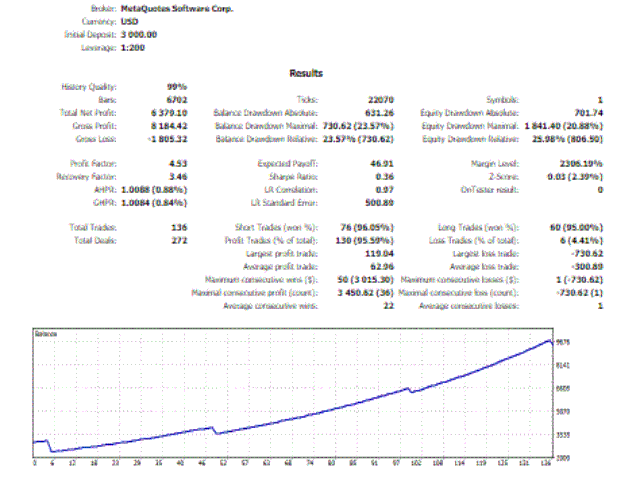 UseFixedLot: By default, this is set to false, meaning you are using growing lots based on available capital and MM setting. If you prefer to use fixed lot size, set this to true. 2. FixedLotsize: Ignore this if you're not using fixed lot size. If using fixed lot, ensure the value you set here is commensurate with your available capital. 3. 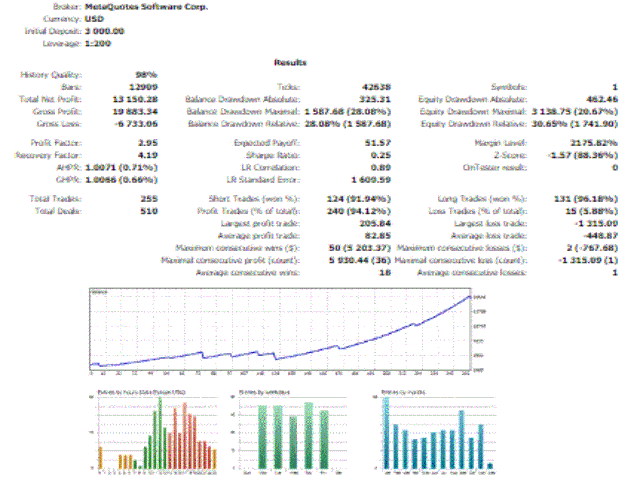 MM_Percent: Money Management - Default value is set to 5. Higher value means higher stake. 4. MM_Denominator: Default value is 1,000. 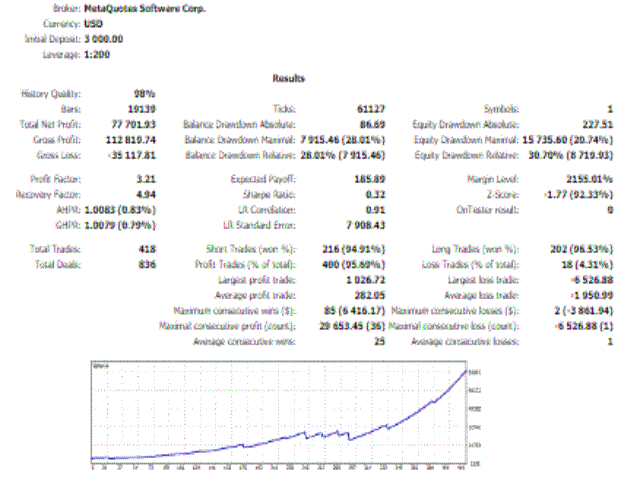 Your Account Balance divided by MM_denominator multiply by MM_Percent determines your lot size per trade. 5. MinLot: This is used to set your preferred minimum lot size. 6. MaxLot: This is used to set your preferred maximum lot size. 7. Stop Loss: Pip value is used. EA will recognize your broker's digits automatically. 8. Take Profit: Pip value is used. EA will recognize your broker's digits automatically. 9. MaxSpread: Maximum Allowed Spread. Used for spread protection. 15. Parameter6: 0 to 23 can be used. 16. Parameter7: 0 to 59 can be used. 17. Parameter8: 0 to 23 can be used. 18. Parameter9: 0 to 59 can be used. 19. Magic Number: Can be combination of digits from 0 to 9. EA will recognize currency pair prefix, suffix, as well as broker's digits. Hence it can work well with any MT5 broker and can manage both small and large capital. It is recommended to host your account and the EA on MQL5.com VPS, for better result. See screenshots for EA testing results. To confirm the backtest result, ensure you have enough data history downloaded.